Whilst there has been a noticeable rise in the adoption of alternative energy sources such as wind turbines and solar cells, one technology appears to be the future of power generation – fuel cells. The range of applications for fuel cells is extensive. They can be used for consumer electronic devices, residential power generation, the automotive industry and industrial power generation – with many other applications in between. 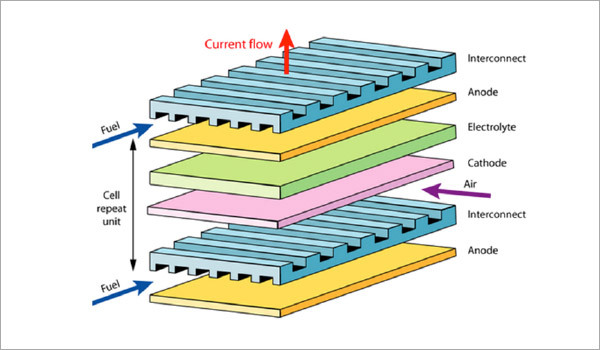 This application insight looks at Fiber Laser welding of fuel cells with a specific focus on welding of Bi-polar plates and highlighting the capabilities and advantages of the Fiber Laser over other alternative technologies. A fuel cell is similar to a battery in that it is an electrochemical energy conversion device. However, unlike a battery, fuel cells do not expire after all the chemicals inside have been utilised. With a fuel cell, the chemical flow in is constant – as long as there is a flow of chemicals into the cell, electricity will be produced. Most fuel cells in use today use hydrogen and oxygen. The only waste products with most fuel cells are water and in some cases carbon dioxide. There are many different types of fuel cell and each is made up differently. 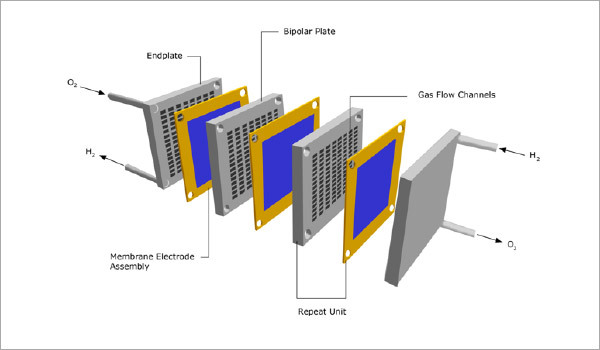 The reaction in a single fuel cell produces about 0.7 V. To get this voltage up to a reasonable level, many separate fuel cells are usually combined to form a ‘fuel-cell stack’. The important point on all of these applications is that they all require high speed and high quality welding of thin stainless steel sheets with low distortion. This is an application at which Fiber Lasers excel and hence this application will inevitably be served predominantly by Fiber Lasers. 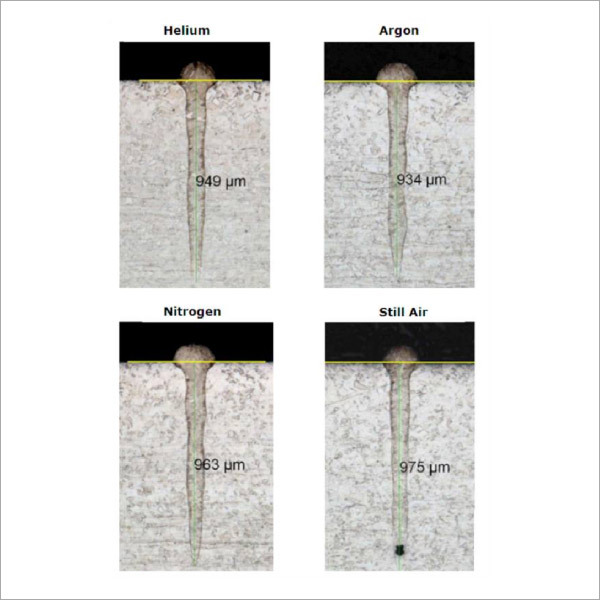 The following are examples of bead on plate welds conducted at 200mm/s in a range of assist gases. The above weld cross sections show the capability of Fiber Lasers to produce high quality, high speed, high aspect ratio (depth:width) welds such as those required for hermetic sealing of fuel cell components. A secondary observation is that the penetration of the weld is not affected by the shielding gas. With parameter alterations, this technique can be adjusted to meet the needs of any specific fuel cell welding process.